L'Occitane Moisturizing L'Occitan After Shave Balm for Men with Shea Butter, 2.5 fl. oz. 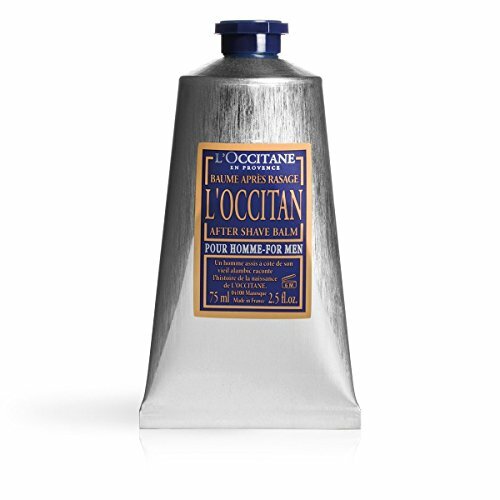 This after-shave balm with Shea butter, hydrating vegetable-based glycerin, soothing bisabolol and birch sap extract, leaves skin soft, comfortable, and perfumed with the woody L'OCCITAN scent. Soothes the skin, preventing irritations and feeling of tightness, without leaving a greasy residue.